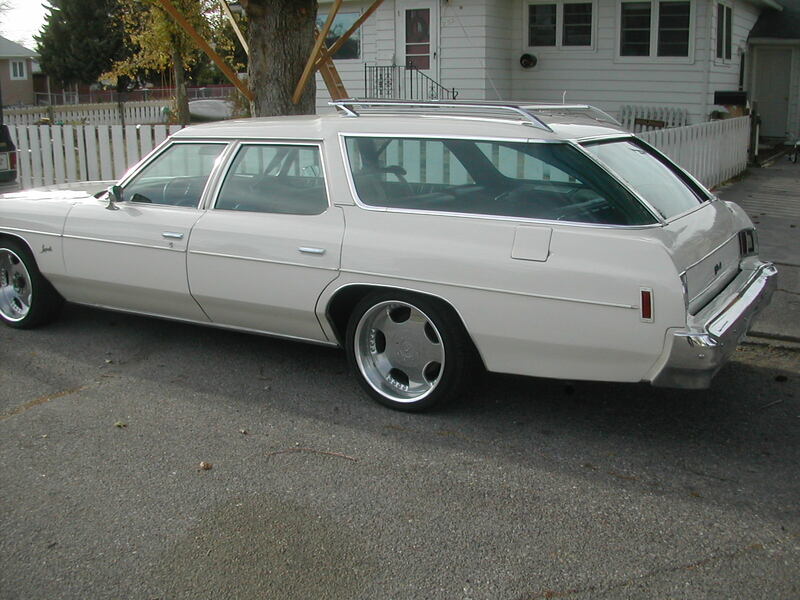 I just got a really cool 74 Impala wagon (400, 91,000 miles, original), and I want to put dual exhaust on it. I just want that nice low rumble, nothing loud, no need for headers, really. Where's a good place to look for exhaust kits? I thought that might be cheaper than having a shop bend all the pipe and everything. It has that cool clamshell back end. Where's a good place to get the weatherstripping for that? Finally, I'm going to need to beef up the rear suspension, as I've got a whole pile of kids. What would you recommend? Air bags? Air shocks? 62BillT and Darth Z like this. Welcome! LOVE the wagon! I'm a big wagon nut myself (even though I don't currently own one), for some reason the longroofs just speak to me! I don't care for the wheels, but I LOVE the car. That is one slick wagon! I'm wanting to get a wagon myself here in the future. I'm thinking a later model wagon, but I would really love something like this! Definitely looks like it's out of my comfortable spending level though. Hahaha! Normally, a shop can install an in-house bent Exhaust System cheaper than buying them and having them installed from over the counter, but check both ways. I like using Load-Leveler Shocks in the rear, but they will not be adjustable, you get what you get. Just noticed now that this is an old thread going on 3 years old. I've been studying on it and about half of the First Time Posters asking questions about their car, never return.